Now on 1690 AM, Gary and Nick are keeping their pudgy little fingers on the pulse of Montreal team and combat sports. CJLO is also now your home for grassroots MMA! Started in 2005, and hold mma bouts in Western Canada. Now part of ProElite family. Top sponsor and best place to get MMA gear both at the store and online. What does a Halifax Police officer, a former junior league hockey player and a former college offensive linemen have in common? All of these players will be making there debut at Extreme Cage Combat 10: Demolition. The event was officially announced today at Palooka's Boxing Gym for September 26th at the Halifax Forum. This will be the first event in the Nova Scotia capital in almost a year. The promoters are happy to have this event back where it started after a year long delay but they wanted to try new areas. "Our last event we held in Sydney a little while ago. we wanted to spread it across the province a little bit," says promoter Peter Martell.
" We looked at Halifax and Cape Breton haven't had one yet and we decided to hold one there. It is a little bit of timing sometimes we would go to the forum and there would be competing events or other fighters would have commitments elsewhere. This is a good time for us to get the team together." The main event will Halifax's Roger Hollett make his debut at middleweight against Frtiz Paul from Team Nestor in Montreal. Hollett comes into this fight losing two straight to Emmanual Newton and UFC vet David Heath. Paul is coming off a three year layoff but it won't be an easy match-up with Paul facing guys such as Jason MacDonald and his last fight beating Nabil Khatib. While Hollett is moving down a weight class for this fight, this doesn't mean that he will stay in the 185lb division. "I feel really good about it," says Hollett. "I am not fighting to keep weight on anymore. Really this is my natural weight. I will still continue to fight at 205 and I am going to fight at 185 as well. It will be case by case. I am just not going to cut weight anymore. It has been a little hard sometimes cutting all that weight. I gotta just get my legs back under me and get some steam going again. Training has been going really good. I am feeling really good at the lighter weight, so I think this will be a good idea. " While the event will see veterans on the card such as Matt McGrath, Dan Grandmaison and Tannaya Hantleman on the card, it will feature some interesting newcomers. First, Andre Habib who is a Halifax Regional Police officer will take on Moncton's Cory Boone. Bryan Jordan will bring the maritimes first super heavyweight fight when he takes Jason Harper. Jordan is best known as an offensive linemen with the Saint Mary's Huskies in Atlantic University Football. Also another cross sports athletic will make his debut when Colby Macintyre faces Alderic Keith. Macintrye played in the Quebec Major Junior Hockey League for the Halifax Mooseheads for two season where he racked up over 300 minutes in the box in just 58 games. Now while there are many interesting fighters on this card to draw in different groups of people. It wasn't planned out that way. "But they trained here and have interest in fighting. We are very happy to put them in there and let them showcase what they know. we are happy that Bryan, Colby and Andre fighting will reach out to some people perhaps who haven't taken that step to an mma fight live." The only other debut that will be on the card will be Jeremy Josey. Josey has been training with Team Titans as Hollett's sparring partner for the past year. While he has had the experience in the gym, will it transfer over to the cage? While Josey is just happy that he won't have to fight Hollett, he knows that everything can play a factor. "I just know that going to the cage can be a factor. Right now in my head (in the gym) , I have the idea of these are my buddies. I don't want to hurt them." says Josey. "I don't take it personal when I get cracked. You do have to hold a little bit back. There is a little something that you have to hold back everytime your sparring with somebody you know. Come the 26th, I have no idea who this guy is. I don't care if he hates me or not. There won't be that little bit holding me back." For any information about the card you can check out Extreme Cage Combat's website at www.eccmma.ca. Last week at The Franchise, we told you about a promoter in Moncton, New Brunswick named Dwayne Storey trying to do co promotion card of boxing and mma. Well we have learned that there will be no mma fights on the next great heavyweight tournament. Storey told the Times and Transcript that the event venue at the University of Moncton would not let the fights happen on there campus. Storey has said to me that he will continue to try and put a co promotion fight card together in the near future. Ultimate Fighter Season Eight competitor, Ryan Jimmo will be taking a big step in the fight game as it looks like he will be facing UFC veteran Marvin Eastman. 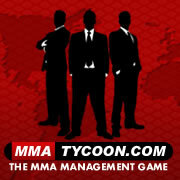 When speaking to Jimmo ealier this week, he said that it looks like he will face him at MFC 22 on October 2nd. Jimmo said that the deal is in its final stage and it looks like it will be signed within the next week or two. The Saint John, New Brunswick native is on a ten fight winning streak which includes names as fellow TUF alum Jesse Forbes and former world kickboxing champion Rick Roufus. Jimmo has recently moved to Edmonton for training with the likes of UFC heavyweight Tim Hague and former MFC poster boy Ryan Ford. Other match-ups confirmed for MFC 22 will be Jason Macdonald against Travis Lutter. Also John Alessio will fight on the card but has yet to have an opponent but all signs seem to be pointing to former UFC vet and recent MFC signing Luigi Fioravanti. Titans Fighting, which happened at Mel's Studio K in Montreal on Friday, February 6th, 2009. Card was headlined by Steve Bossé and James Thompson.